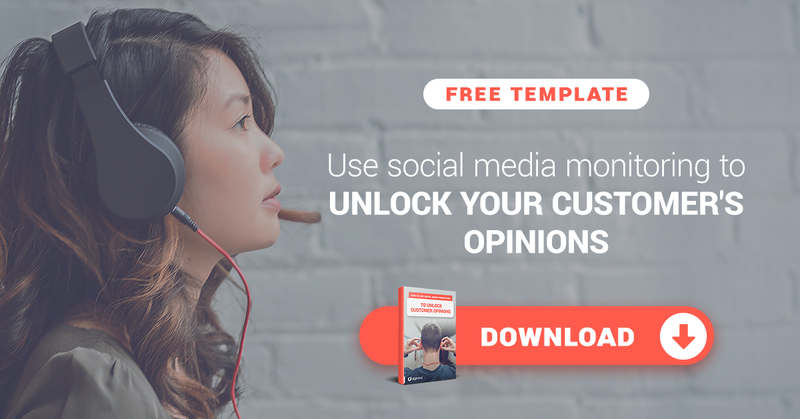 How one agency planned a successful campaign by analyzing social media KPIs. When marketing and communication agencies plan and design a campaign, the most fundamental questions they have to answer aren’t creative or operational in nature; they’re strategic. What are the most relevant KPIs for the campaign? How can the campaign’s strategy achieve alignment with the needs of the target audience while meeting customer business goals? It’s difficult for stakeholders to monitor a large audience, so they’re forced to listen to anecdotal evidence on third-party platforms. The KPIs are diverse and multifaceted and require a process of selection, classification, and analysis. Without careful measurement, ROI metrics can be easily distorted. To demonstrate how one of our customers overcame these challenges, here is a case study following a successful campaign of the St. John’s agency. The study demonstrates how KPIs from past campaigns helped to inform the marketers’ planning, and how the results yield important and translatable takeaways for subsequent campaigns. St. John’s is an agency which specializes in comprehensive approaches to PR, community management, social media marketing, and branded content management for both strategic and operational brands. The team has carried out many successful campaigns, but in collaborating with one of their top clients, they found themselves facing a large social media related challenge. One of St. John’s top clients, the St. Michel brand, embarked on an ambitious rebranding effort which required a huge volume of communication and a corresponding commitment to listening to and understanding the results. Establish the brand as a leader in corporate social responsibility and sustainability. A collection of customer social media engagement surrounding St. Michel’s campaign. In 2015, St. Michel became the first French biscuit maker to manufacture 100% of its products using cage-free eggs. St. John’s sought to capitalize on this advantage by highlighting the brand’s ability to satisfy consumers while simultaneously representing a conscientious consumer choice. Trends and volume of mentions. Campaigns focusing on production generated limited media coverage and trending results. Engagement, content, and audience. Similarly, content that featured scientific or technical language produced minimal interaction, hashtag placement, and audience interest—especially among younger demographics. Sentiment analysis of engagement. The campaigns that focused on corporate social responsibility and associated themselves explicitly with animal welfare strongly polarized the market. In particular, Facebook and Twitter feedback revealed that the negative reaction came not only from more “apathetic” segments of the market, but from vegan groups as well, who saw the tactic as opportunistic and deceptive. Media and authors. Public relations outreach attracted limited coverage from only a few niche magazines. Third-party evangelists failed to pick up on the message, critically limiting its reach. The data-driven campaign sought to maximize coverage through playful content meant to entertain, and to minimize the impact of negative terms by expanding the role of user-generated content (UGC). With those guideposts established, the #WeLovePoules campaign was born. A video of an ironic character in a playful video. A dedicated site which offered brand engagement by letting users find and share memes. Specific content for social channels that was mostly jocular and irreverent in nature. Although the above advertisement is in french, the successful use of humor in communicating St. Michel’s campaign for CSR remains apparent. Sentiments and mentions to improve quality and increase the amount of engagement. Top-performing content among targeted social media users. UGC to identify the most successful and active brand ambassadors, which was later integrated into the editorial plan. Media channels to optimize paid and organic investment. Through this constant monitoring, the campaign was launched as a highly-structured and organized effort which yielded results in a relatively small amount of time. Careful analysis prior to planning serves to improve project results. Comparable campaigns can offer valuable insights. Audit them to identify critical issues which should be addressed and to align efforts with the market’s demands. Due to the multifaceted and multichanneled nature of today’s consumer experience, campaign strategists must map the consumption experience out in its entirety through targeted listening and by monitoring the effects of their business decisions. Embrace dynamic KPIs over static KPIs. The campaign’s success was dictated by ongoing adjustments and the ability to effectively follow through on intermediate verification steps. Such dynamism and flexibility allows a brand to thoroughly analyze their choices and optimize their resource investment. If you’d had experiences in approaching the planning phase of a new campaign, please feel free to share them in the comments! Christine is the US Marketing Director at Digimind. She interested in writing and talking about all things related to Marketing and business strategy, especially finding ways to help businesses grow faster and become more intelligent.